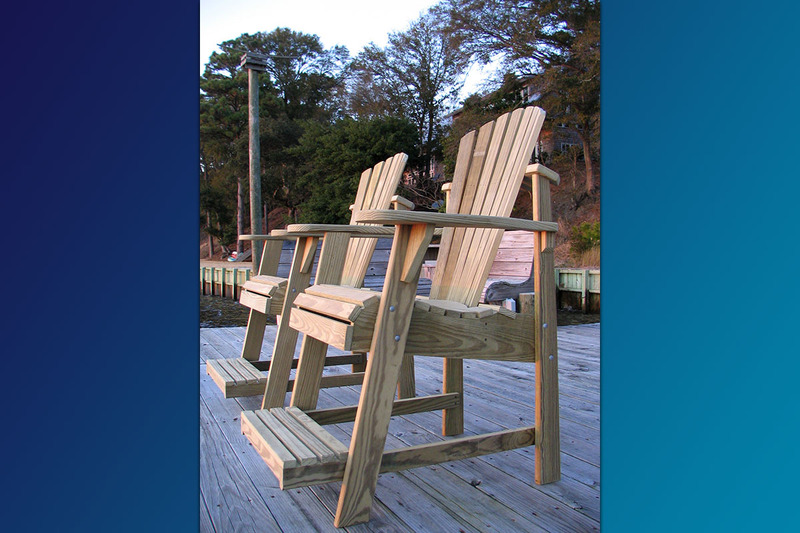 The Adirondack Balcony Pub Chair, perfect for viewing over deck railings. 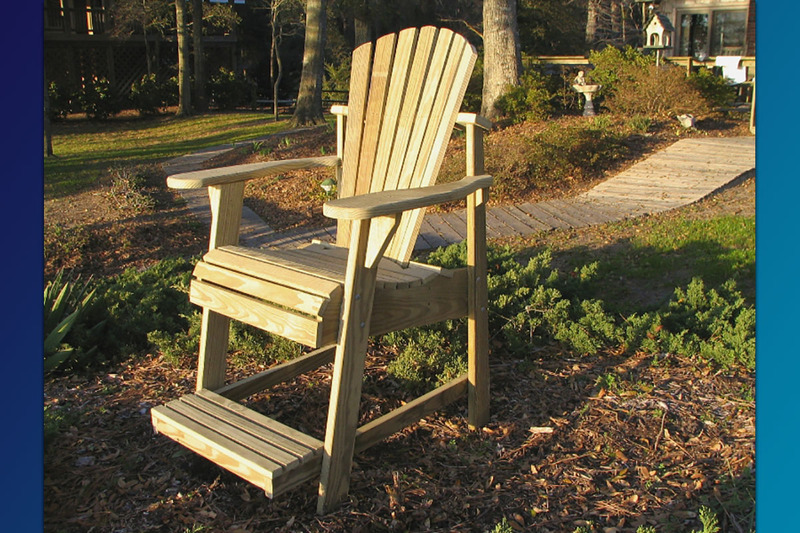 The Adirondack Balcony Pub Chair is perfect for viewing over high deck & porch railings. 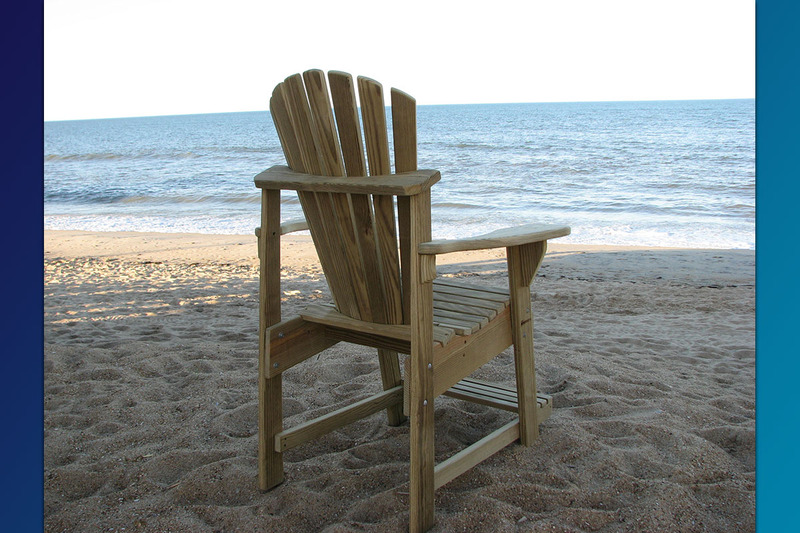 This chair is every bit as comfortable as our “original classic” Adirondack chair with the back a little shorter, tilted slightly more forward, sits higher for better viewing…and has a built on footrest. There is nothing not to like about this chair. Now you can finally see over the railing! Ships FREE by FedEx / UPS Ground … about 20 minutes to re-assemble … already 80% factory assembled. 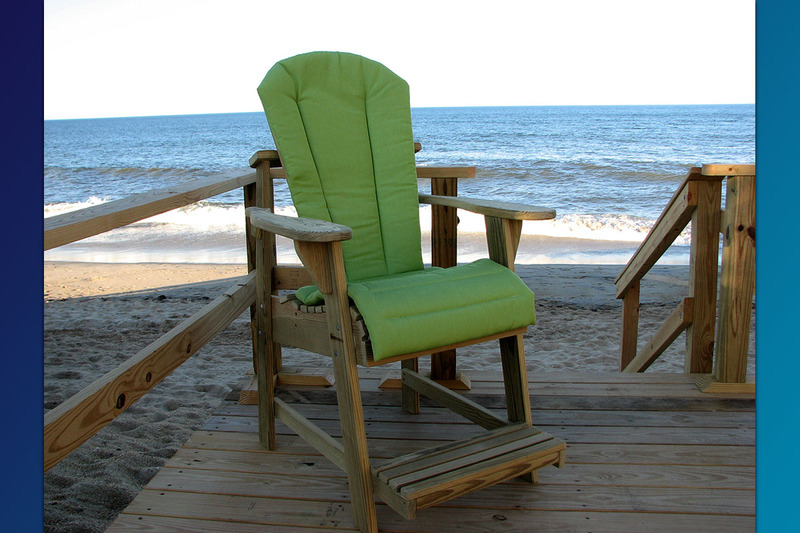 When ordering FOUR (4) or more chairs … Ask about shipping “Fully Factory Assembled” – For just $24.00 Total. Less that 4 and still want them Factory Assembled, we have options. 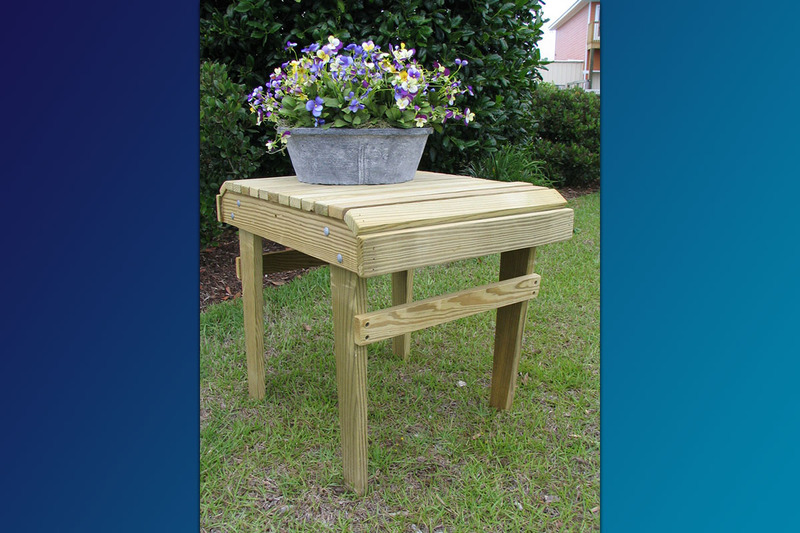 Natural Finish: Ships FedEx/UPS ground with very simple re-assembly required ( approx. 20 mins). 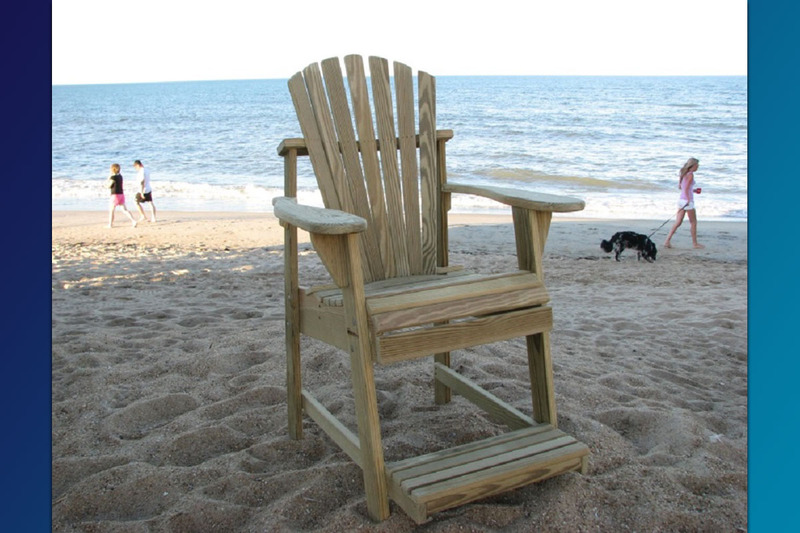 This chair ships to you already 75% factory assembled. 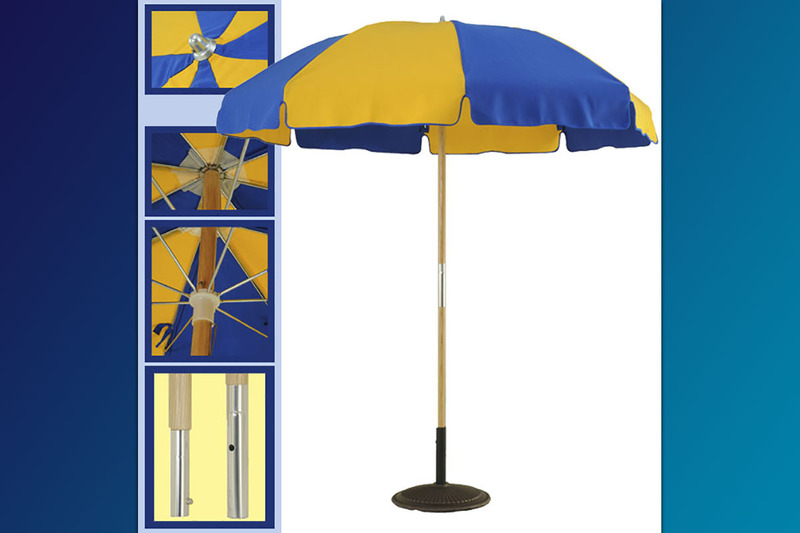 OPTIONAL: Can also ship Fully Assembled via Motor Freight – residential or business. Add $12.75 for Factory Applied Olympic UV wood protector. 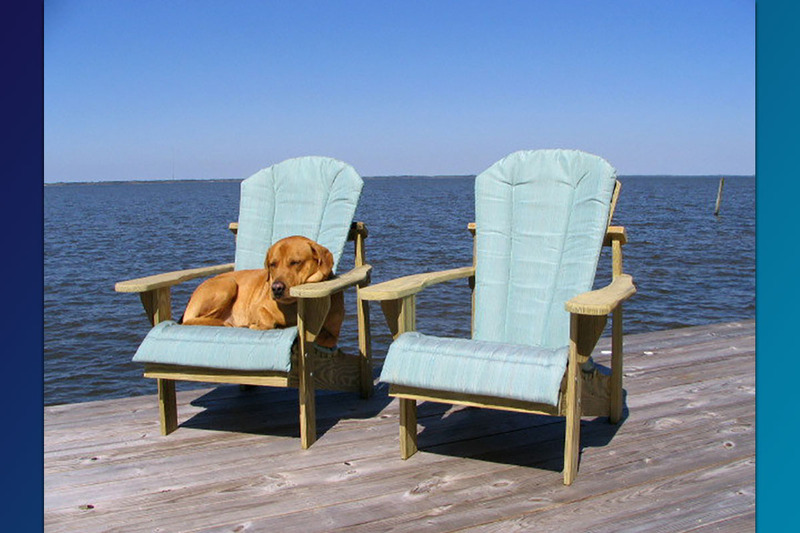 Add $92.00 for an Adirondack Chair Cushion. 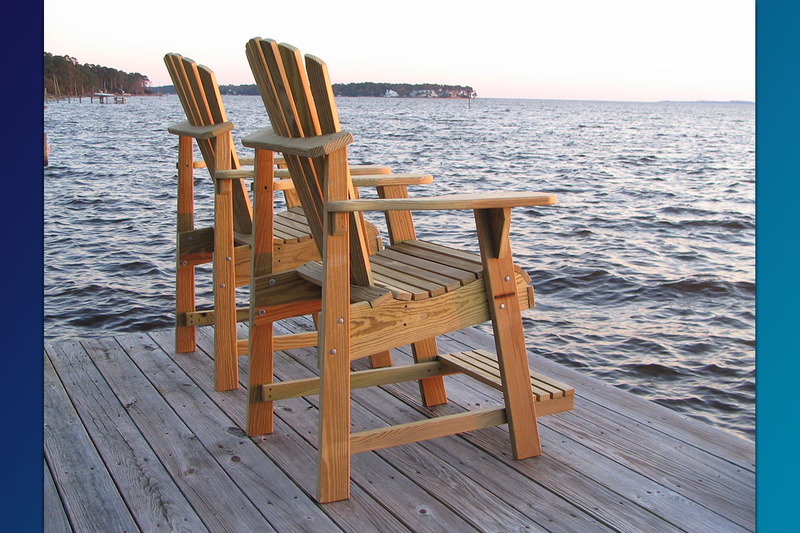 Unfinished Natural Chairs “Ship FREE” by Fed Ex ground partially unassembled. Re assembly takes about 25 mins. If you are unsatisfied for any reason with your purchase, you may return or exchange it at any time within 30 days after receiving. Return Shipping and any associated Return Shipping Costs is the sole responsibility of the purchaser. Any item(s) returned should be in new and unused condition with all tags attached if applicable. Item(s) properly returned under this policy will be eligible for a full refund (less original shipping costs) by the payment method originally made, less a 10% re-stock fee to cover original processing, return inspection, re-packaging, and new carton costs. If it doesn’t say Weathercraft®, you just don’t have it.